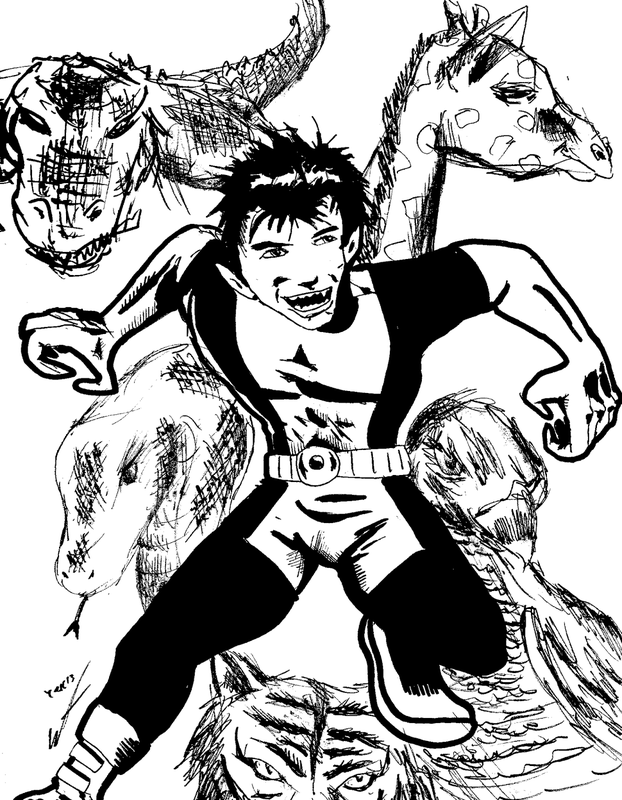 Here is Beast Boy! Man, was that Teen Titans cartoon awesome or what? I always had a liking for Beast Boy, although my favorite Titan is Raven. I used G2 gel pens and a fat tip Sharpie marker for this picture. The animals in the background are also done with a G2 pen. I don't care for them as much. I personally liked it when I used a lighter pen tip to draw the animals like how I did in the Animal Man post. Also, I don't care for this picture that much because of his head shape.